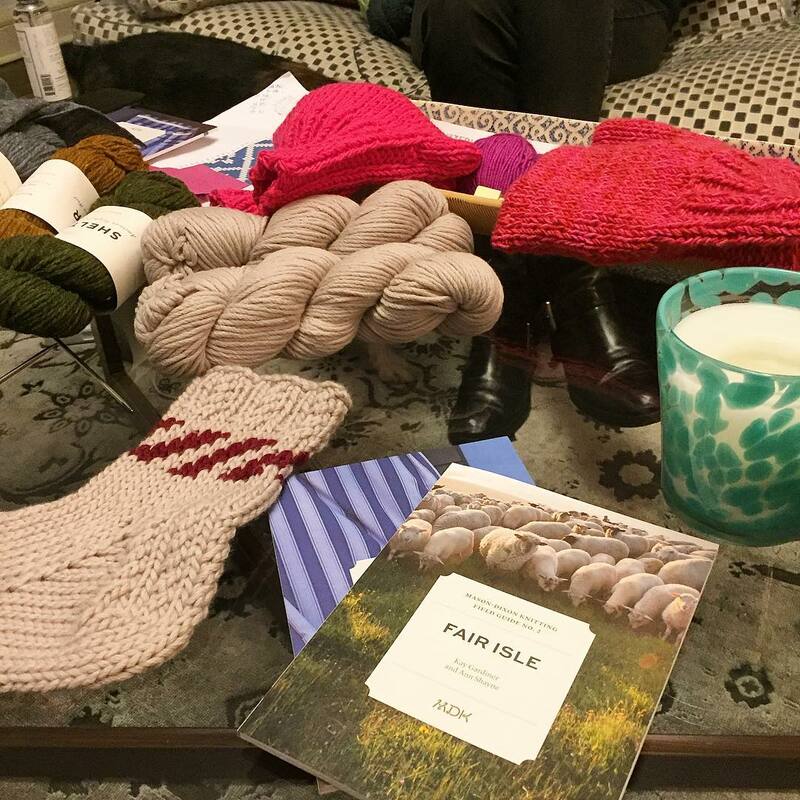 Spent a lovely evening offsite with the cast and crew of @mason.dixon.knitting discussing the state of the world while knitting and eating ice cream. They sent me home with copies of their first two Field Guides, which will be my bedtime reading. Sleep tight, knitters of New York!